Castle Comfort Stairlifts offers top brand stairlifts, keen prices and fast installs for all those seeking stairlifts in Windsor, Berkshire. And all work comes with our no-quibble guarantees and famous customer service satisfaction. Welcome to the Royal Borough of Windsor in Berkshire. Castle Comfort Stair Lifts are aware that there are over 6,000 retired people in Windsor – does that include a couple of Royals we wonder? If you or one of your loved ones is in need of some help to get up and down the stairs, like our founder Keith’s mother was, then we can help. We can supply a good selection of stairlifts from all UK manufacturers for whom we are agents. 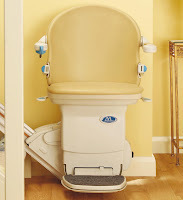 You can also find stairlift prices on our website and a comparison chart of what each stairlift offers so that you can see the pros and cons. If you’d like more information, please give our local office a call on 01865 477 004 . The two most well-known residents of Windsor are Her Majesty the Queen and Prince Phillip! We understand from official sources that the Queen and Prince Philip use Windsor Castle as their weekend residence, but it is also used for State Visits and other official functions too. In fact Windsor Castle has had a long association with the Royal family through the ages and is now one of the official residences of the Queen. The original castle was built by William the Conqueror but in the 12th century Henry I made it a Royal ‘home’. In fact it’s the longest running Royal home of any in Europe. Now more than 500 people live and work at Windsor Castle making it the largest inhabited castle in the world too. The Queen is always in residence for a month over Easter and then again for a week in June for the Order of the Garter ceremony held in St George’s Chapel. Followed by attendance at the Royal Ascot race meeting. The Changing of the Guard ceremony takes place daily in the quadrangle when the Queen is in residence. A number of additions and renovations have been made to the castle by monarchs over the centuries so that it is now a mix of Georgian, Victorian and Gothic architectures though some of the earlier parts are still intact. In 1992 there was a fire which destroyed 9 principal and 100 other rooms. The fire started in the private chapel when a spotlight accidentally ignited a curtain. 1.5 million gallons of water were used to put the fire out over 15 hours. It took 5 years to renovate and restore the castle at a cost of £37 million - £3 million below budget. 70% of the funding for this was raised by opening the state rooms at Buckingham Palace and the remaining 30% from funds set aside to maintain royal residences. Many parts of Windsor Castle are open to the public including The State Apartments, Queen Mary’s Dolls House, both St George’s Chapel and the Albert Memorial Chapel. There are also a number of tours around parts of the Castle and in the grounds you can take a carriage for 4 people on circular tours through Windsor Great Park. This year to celebrate the Queen’s Diamond Jewellery you can see the gallery exhibition ‘60 photographs for 60 years’. The exhibition includes official photos and more casual family ones. The Windsor Estate covers 15,000 acres and includes Ascot Racecourse and 3 golf courses. Windsor Castle Estate has over 450 clocks. When British Summer Time begins, the Queen’s clock-maker spends 16 hours moving every clock forward. When BST ends, he has to move every clock forward 11 hours to get to the right time, 1 hour back! This task takes him 18 hours. For formal dinners at the Castle, usually held in St George’s Hall, it takes between 8 – 10 people 2 days to lay the banqueting table. Each guest is allowed a space of 46 cm on the table. The table seats 160 guests. Henry VIII and his favourite wife Jayne Seymour are buried under the castle. Windsor chairs are made from solid wood with back slats and legs pushed into holes in the solid wood seat. The first known chairs were made as early as the 16th century but it wasn’t until 2 centuries later, when ‘steam bending’ was common that the first chairs were sent from Windsor to London and the name stuck. Now of course they are produced all over the world. These aren’t so good for going up and down stairs but if you’re looking for a stairlift please call the Castle Comfort Stair Lifts local office on 01865 477 004 . The symmetrical Windsor Knot often referred to as a Full Windsor and used to tie a necktie, is thought to be named after the Duke of Windsor (Edward VIII) after his abdication due to his love of wide knots. In truth it is probably due to his father George V. It is the only knot members of the Royal Air Force may use when they wear a black tie in uniform. The only native cheese of Berkshire is made by adding red wine or port and brandy to the cheese creating red veins. This is a thick meaty soup that was popular in Victorian and Edwardian times – though it did feature much later in the sitcom Fawlty Towers! Just 4 miles from Windsor on the opposite side of the Thames is the town of Eton. Here Henry VI founded Britain’s best known public school in 1440. At the time he was also King of France hence the Fleur de Lys in the college’s coat of arms. Eton College is one of the original 9 public schools. Eton Mess is a popular summer dessert consisting of strawberries, crushed meringue and cream. Other summer fruits and even bananas can be used but strawberries are traditional. Old Etonians include Princes William and Harry, current Prime Minister David Cameron and current Mayor of London Boris Johnson; The Duke of Wellington, Percy Shelley, George Orwell, Guy Burgess, Henry More and Hugh Laurie. Fictional characters who were blessed to be Old Etonians include James Bond (and his author, Ian Fleming), Sebastian Flyte in Brideshead Revisited. The nearby village of Bray – 5 miles from Windsor - is home to two Michelin Star restaurants, Heston Blumenthal’s Fat Duck and Michel’s son, Alain Roux’s Waterside Inn. Hope you’ve had a right royal tour of parts of Windsor and its great connections. 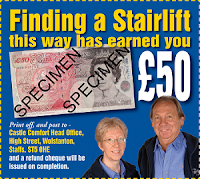 Now if you still haven’t solved the stairlift problem, please get in touch with us. We can come and checkout your staircase to see whether a straight or curved stairlift is necessary; stairlift prices vary and curved will always be more expensive as they are made to measure your staircase. Don’t forget Castle Comfort stair Lifts have reconditioned straight stairlifts too. There are grants and 0% finance options as well as our £50 voucher to make your dreams come true and we can have your stairlift in before you can say the Duchess of Cambridge – well almost. Give us a call now on 01865 477 004 . Interesting article about Windsor castle, and I've just watched the Diamond Queen programme. The Queen is 85 - does she have a stairlift at Windsor Castle ? Good question.. and a closely guarded secret without accesss to the truth. The Queen herself can probably climb stairs without a stairlift but one may have have had put in been put in in anticipation. Let's see if we can find out via our friends on Twitter. 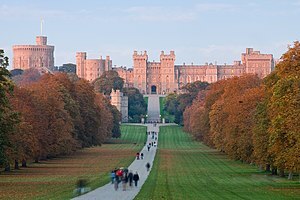 How many staircases are there in Windsor castle is another point, so how many stairlifts would The Queen need to have installed? We are obviously a great deal cheaper than that!! In large residences where there are so many staircases it is better to nominate one staircase as the main one to be used usually the one that has easiest access from the rest of the building.